Pantone’s Color of the Year is vibrant and versatile. It pairs with many different styles of interior design as we’ve shown before, but we’d like to take a moment to break it down to the basics and give you some palettes that include greenery. Calm it down is cool and collected and will feel light and charming in any space. Let greenery do the talking in this palette. Let this light-hearted collection take some weight off your shoulders at the end of the day. Deep rooted is edgy and modern, and the shades of this collection pair well with its neutrals. Let the enjoyment sink in because this palette will soothe any tension. Moody and ambient, these warm hues will spice up any space and make it feel decadent and worldly. Grasp the decadence of this palette and be immersed in its beauty. This collection is for your relaxing space, where the colors are soothing like a warm bath and make you want to have fresh lavender aromas dancing around you. Fathomless is for the cool space in your home, giving you a bit of pep in your step without over-doing it. Feel the relaxation and serenity when you’re surrounded by these cool tones. 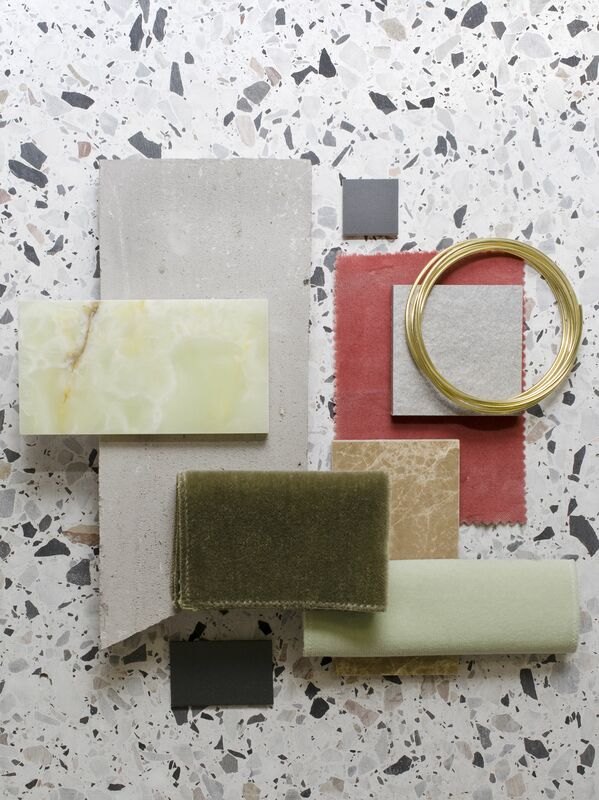 For the eclectic space, this palette does wonders to the once dull areas by bringing life and rich colors. No color will be turned away and the beat will go on with this playful palette. Touching into our earthy desires, this palette will fulfill all of your senses. By bringing together the warm and the coolness of these hues, the balance Forest Floor brings is undeniable. Bring some of the most beautiful sights of the world into your home by capturing their color schemes. Influenced by the wonder that is the Grand Canyon, this collection will let you travel far even within the limitations of your home. As you can see, the possibilities are endless with this luscious green hue that Pantone has so carefully chosen. Let your imagination run wild and explore all the space in your home where these palettes might just fit in. Can you think of some more palette that greenery may fit in well with? Tell us about your discoveries.